Just the very word “divorce” is scary for many people. Thoughts of never-ending legal battles and disputes between the separating parties is often how most people view an impending divorce lawyer, followed up by opposing lawyers grinding it out in lengthy courtroom proceedings. But does it always have to be that way? Can a divorce be settled in a more congenial fashion that doesn’t involve the courtroom? 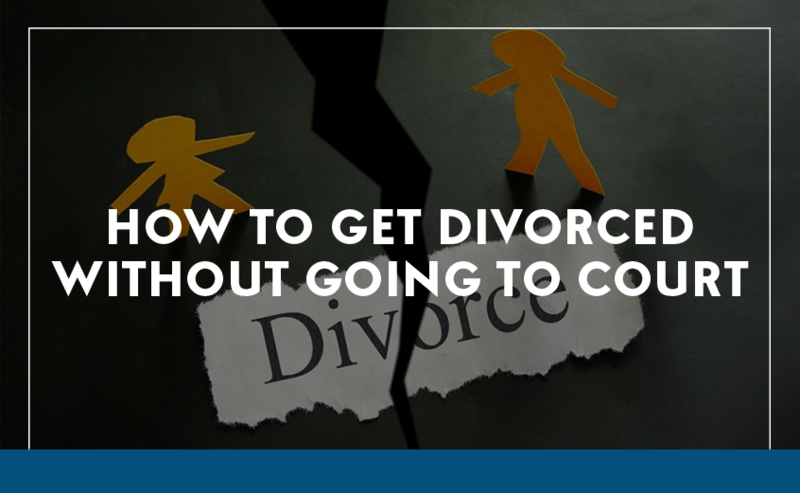 Well, in order for a divorce to be official, it does have to pass through the court system, so you can’t avoid it altogether, but that doesn’t mean you have to make an appearance in court yourself or attend divorce proceedings. If children are involved, then it is certainly advisable to make an appearance, though. What people associate with divorce is legal battles over the division of property and the custody of children? They envision drawn-out courtroom antics reminiscent of a Hollywood legal drama. In some circumstances this in unavoidable where both parties really can’t reach an agreement, but in most cases, it doesn’t have to be this way. With the assistance of expert mediation services, much of the courtroom dilemma can be avoided, and it’s far better for everyone involved if this is the case. Of course, this scenario is largely dependent on both parties being keen to cooperate and reach a mutually beneficial agreement. If they are, then most of the negotiations can be kept out of the courtroom and a compromise settled on during mediation with each party assisted by their legal representative. An example of “Divorce Mediation"
If a parenting plan can be agreed upon through mediation, then this will avoid any bitter custody battles being fought out in court. The same goes for the division of any property or assets acquired during the relationship. While it’s not always easy to reach a compromise that everyone is happy with, if it can be done through mediation processes, it’s a far more palatable outcome than hammering out a settlement before the judge. Divorce is painful and stressful enough without having to endure lengthy court battles to come to an agreement. Mediation sessions are a far more congenial environment for establishing an outcome that both parties can live with. While dealing with the court system cannot be avoided entirely, it can certainly be minimized to the bare essentials. Aylward Game Solicitors in Brisbane have been specializing in family law for 80 cumulative years. That’s a lot of experience for you to call on. You can make a consultation with a divorce lawyer for this. So, before considering taking your divorce directly into the courtroom, first discuss your situation with one of out sympathetic and highly experienced representatives. If your estranged spouse is agreeable to the mediation process, you can avoid most of the courtroom drama and come to an amicable and acceptable arrangement in a more relaxed manner. First, seek expert legal advice so you are made fully aware of the options available to you. Make an appointment today on 1800 217 217.